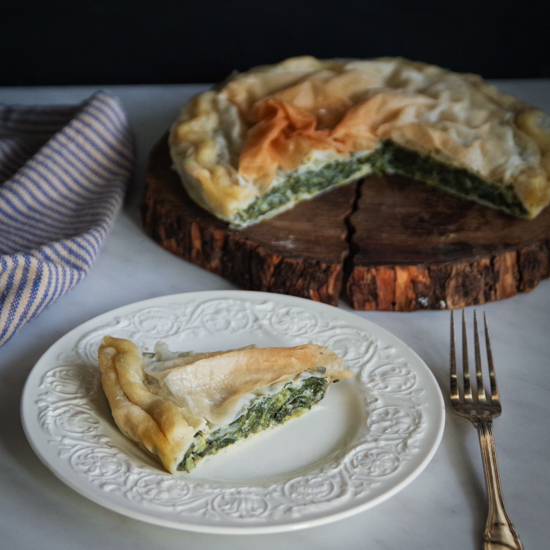 Chard pie has always been a family matter. It’s recipe was a formula hidden in my granny’s spontaneous gestures. If you asked her for it she was happy, even proud, to share it. You need some chards, some parmesan cheese, a couple of eggs, wrap everything a thin dough shall and bake until it is ready. Simple, right? 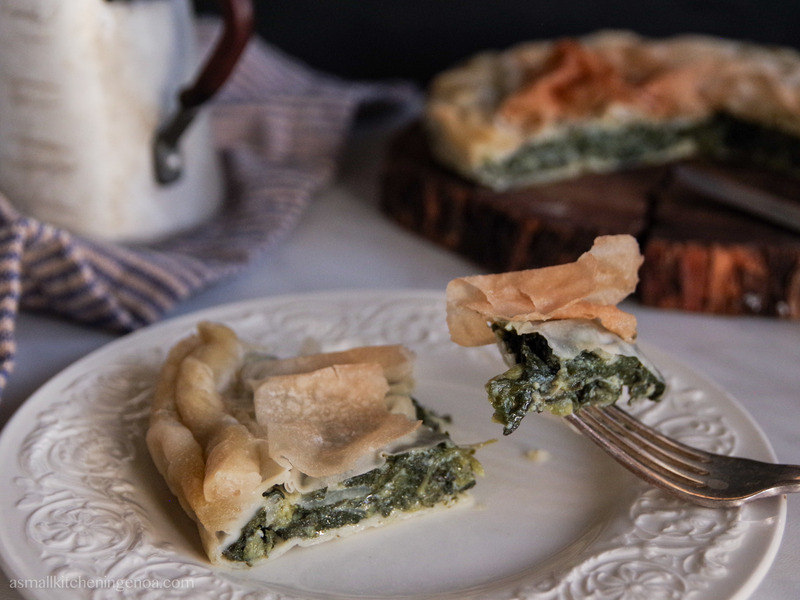 All of us – my mom and aunt before, my cousin and I later – experimented the very easy recipe of my granny’s chard pie. All with first-ever disastrous results. Flat, too crunchy, dull, too dry or almost slimy. After the first attempt (or the second for the most stubborn), however, an investigative instinct rose in all of us. 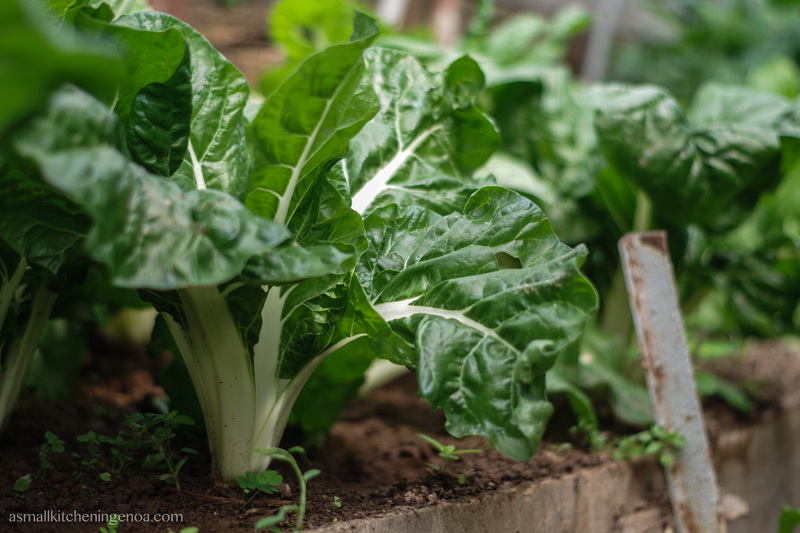 When my granny’s chard pie reappeared on the table we first peered the crust and each slice then, with extreme attention, we tasted it eyes closed, to mentally record its consistency and its taste. Soft, hard but creamy, chards are crispy, you can feel them under your teeth, the parmesan cheese is perceived but does not cover but indeed wraps and accompanies the delicate taste of the veggies. Verified the hoped-for result, the next step was spying in the kitchen, pretending to need a coffee or to appease a sudden hunger pang. Only then, sitting at the kitchen table, looking at those quick and only apparently distracted gestures, we realized all the unsaid, those small crucial passages hidden in the hands. Steps that if you had asked for confirmation would have been branded as obvious. Then in the filling my granny also put one or two tablespoons of béchamel sauce, perhaps this is the real peculiarity of her recipe. 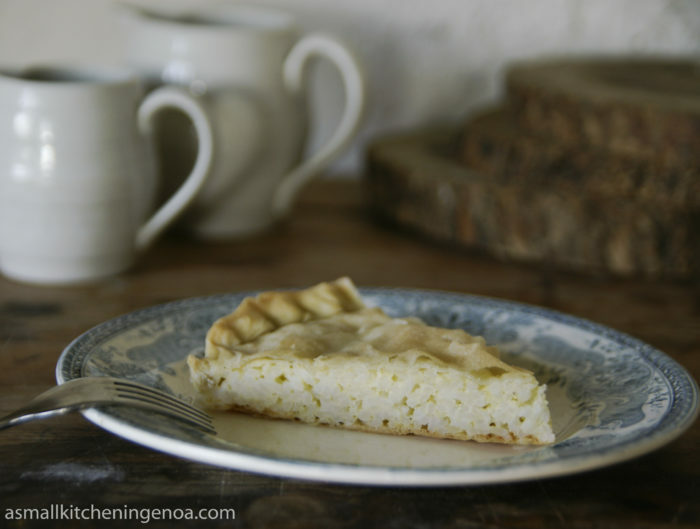 Indeed traditional Liguria recipes include ricotta or prescinseua (the typical fresh cheese of Italian Riviera backcountry), my grandmother instead in no times prepared a milky and firm béchamel and put two spoons of it in the filling to give the right creaminess (the surplus often ended in the belly of a nephew passing by). The dough of the pie shell was a thin, almost transparent veil. Three or more layers under and as many on the top to seal the filling. Between one layer and the other an abundant brush of extra-virgin olive oil that in baking makes the layers golden and crispy. Rock salt on the sparkling surface, to finish. And then everything in the oven until perfectly cooked. This is the only passage that is still entrusted to the experience of each of us. Cooking time depends indeed on the oven, on the size of the pan, on the thickness of the filling, and on its moisture. Usually when the side edges are crisp and golden the pie is ready, about 40-50 minutes. 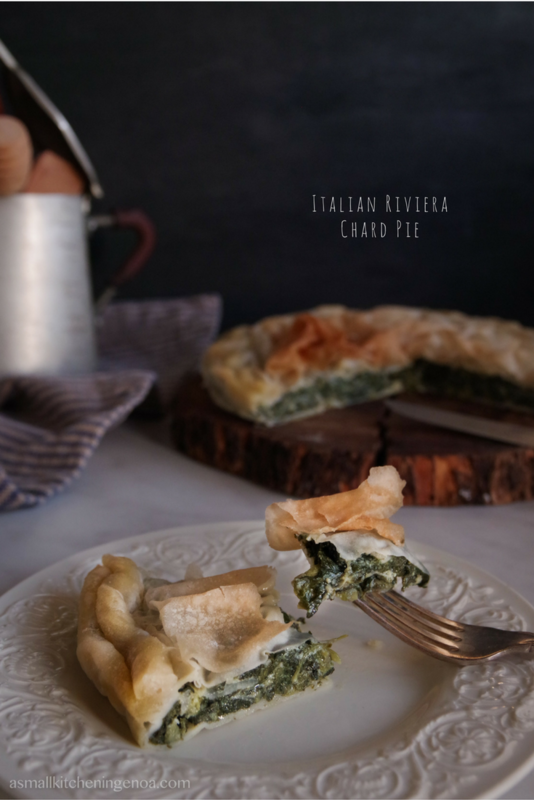 Chard pie is an ever-green, you can prepare it in all seasons because chards, more or less wild, can be found throughout the year and because it is not a dish to eat hot. 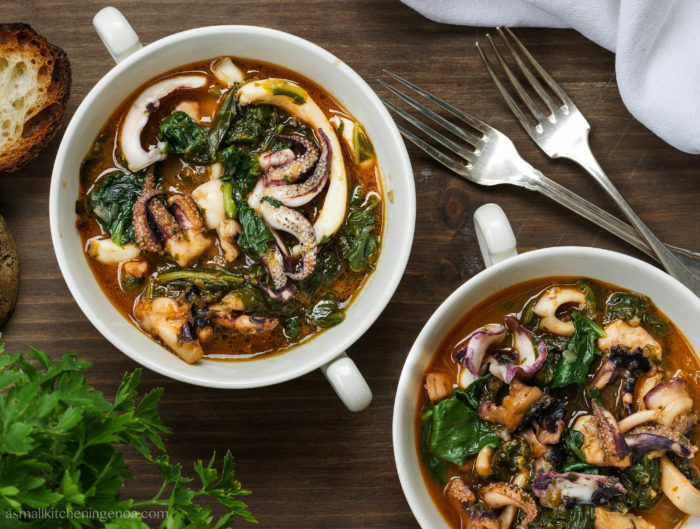 It can be the main dish for a fast lunch, or be brought to the table as a side dish during a dinner with friends or a family lunch, maybe at Easter or for Christmas. In autumn and winter I feel the desire to eat cooked vegetables and to turn on the oven to warm the kitchen. So I prepare a chard pie often and keep it there for a couple of days as a vegetable serving (never forget the 3 servings of veggie a day!) or as a snack, because eating a slice of cake made almost exclusively of vegetable is not a real sin by the way! 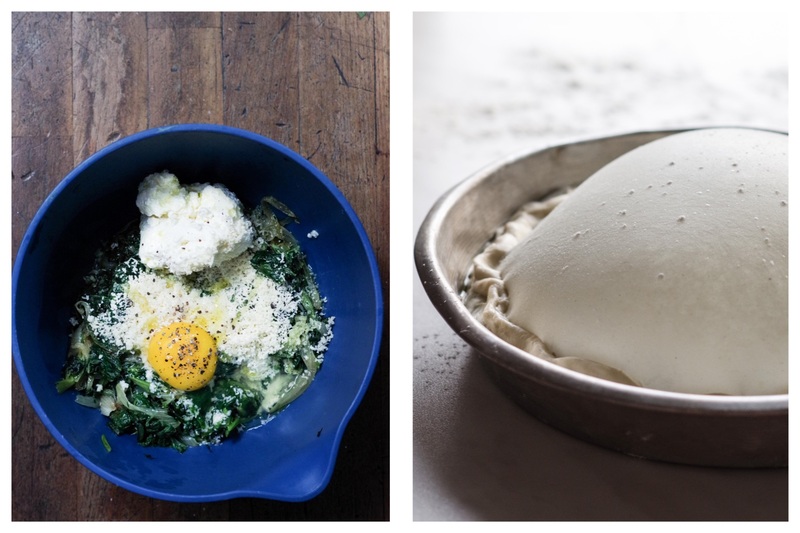 Put the flour in a bowl, add 80% of the water and two tablespoons of extra virgin olive oil and start kneading. If necessary, add some more water from time to time until the dough is firm and homogeneous, but still soft. Take the dough off the bowl and continue kneading with the lower part of your palm on a surface well dusted with flour for 5/10 minutes. The dough will become more and more elastic this way. Divide the dough in 6 small balls of the same size, cover with a cooking film or with a humid cloth and leave in the fridge for at least 1 hour. Clean the chads removing the internal stick. Boil in hot slightly salted water for 4 minutes. In the meantime, cut the onion in slices and brown them in a big skillet with 4 tablespoons of extra-virgin olive oil. Drain the chards, squeeze them very hardly (if they are too hot pass them under cold water) and chop finely. When the onion is pale gold – after about 10 minutes - add the chards and cook at low heat, stirring from time to time, for about 5minutes. Remove from the fire, put the chards in a bowl and add the eggs, the parmesan cheese and the bechamelle (if any). Stir, taste and season with salt and pepper. Preheat the oven at 200°C (425 F). Grease a cake tin of 22/24 cm (ab 9 in) with olive oil. Take one of the dough balls from the fridge (leave the other in the fridge) and roll it with a rolling pin on a surface well dusted with flour. Roll until 1 mm (0,04 inches) thick. You can use your hands to stretch the dough: when you have rolled it in a thin disk put it on the back of your hand and with the other gently stretch the borders in all directions. You shall obtain a disc wide enough to cover the cake tin and get out of the edges for a couple of centimetres (ab 1 inch). Don’t save flour! Use as much as you need to avoid that the dough sticks to your hands or to the surface. Cover the cake tin with the rolled dough and grease the surface of the dough with a very thin film of olive oil. Repeat the same operation with other two dough balls remembering to grease with oil the surface of the rolled dough each time. Once the three layers’ base of the pie is finished it is time to put the filling inside and level with the back of a spoon. Cover the pie with three other layers of dough finely rolled and greased with oil as above. Once the cover is completed, cut the dough in excess from the borders of the tin and roll the edges inside to seal the filling being careful not to leave holes. 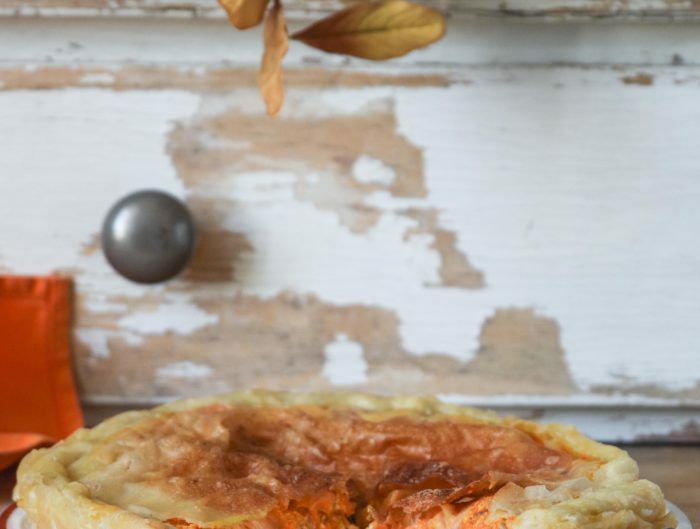 If you wish you can have fun and try to inflate the pie: leave a small hole in the dough before sealing, blow through it under the last layer of dough and quickly seal it. Cook in the oven at 200°C (425 GF) for about 45 minutes or until the dough is gold and crispy. Serve at room temperature. The day after is even better! 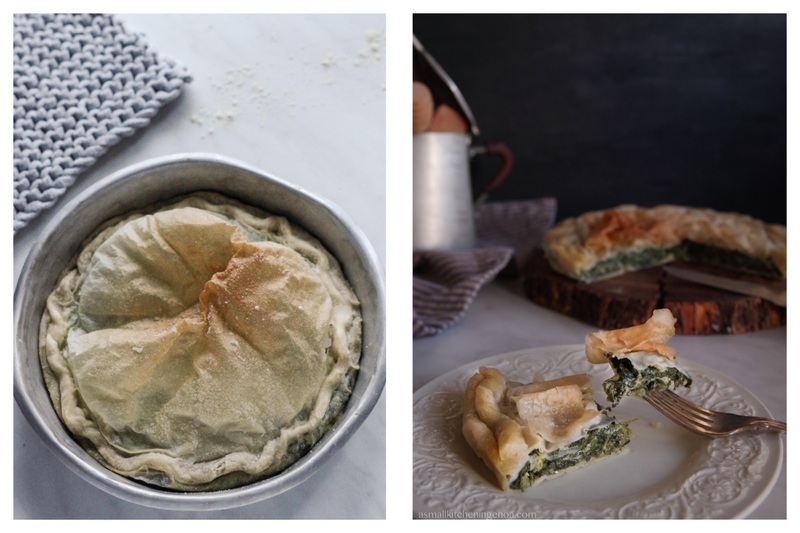 If you too like me love vegetable pies, you can also try to prepare the artichoke pie. I noticed that the first seasonal artichokes are appearing on the market benches and this is a perfect recipe to fulfil the first cravings. Often, I would like my photos and stories to please me more, I would like them to be as those of the talented food bloggers I follow and read with passion. I often feel discouraged, what I create does not satisfy me enough, the photos are not harmonious, the words do not flow as I would, my recipes and my stories could transfer more emotions in a more direct and engaging way. Then a few days ago I came across the Ira Glass video about creative process and its long times and found a lot of comfort and incentive. To get the results our taste and creativity desire, we must make a huge amount of. It takes years, it needs determination. But was and is this way for everyone. Have a look at it, it’s very quick but incisive!